For events that are BYOB, after 4pm you need to be 18 years or older. For family days, family nights, mommy and me, father and daughter days/nights – any age is permitted. You can bring your cute self! Make sure to bring a camera or phone to take pictures along the way. We have plenty of parking. 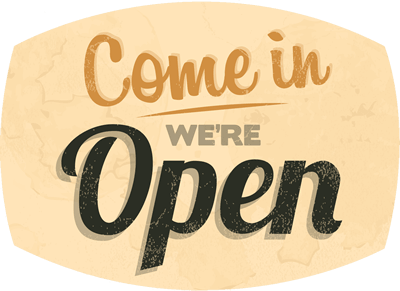 We are located in the Bosa Donuts and Federico’s Plaza, near Dearing Acting Studio! Look for the lights on inside with cute lights strung throughout. Please email us if you need to transfer your ticket at [email protected]. 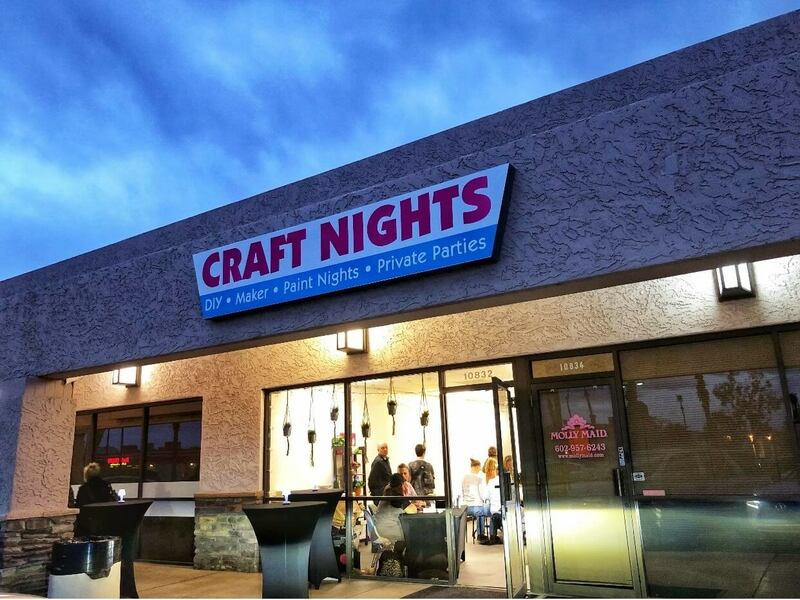 Craft Nights is a woman-owned, BYOB, DIY arts and crafts studio located in Phoenix, Arizona. We provide instructor-led workshops, private parties, corporate events and team builders. 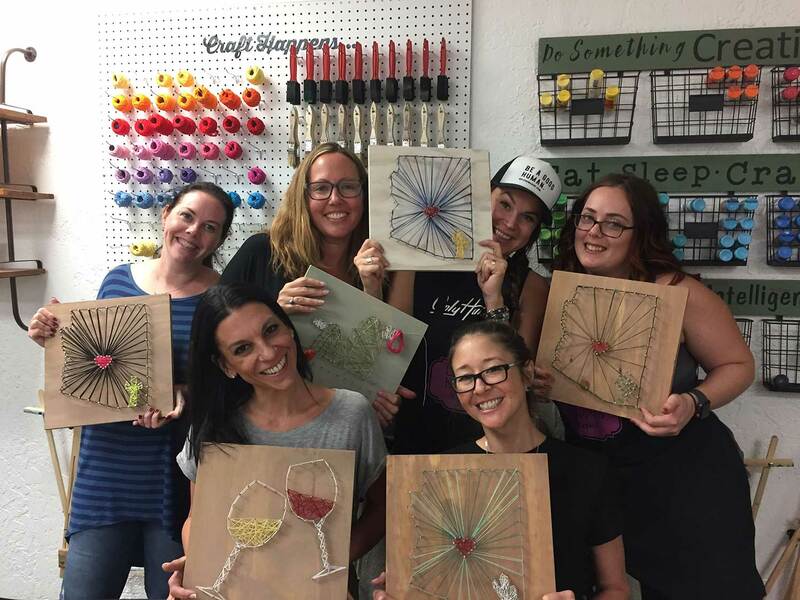 We also offer birthday parties for all ages, bridal showers, and an exclusive ladies’ night out special. No prior experience needed because we are there every step of the way! 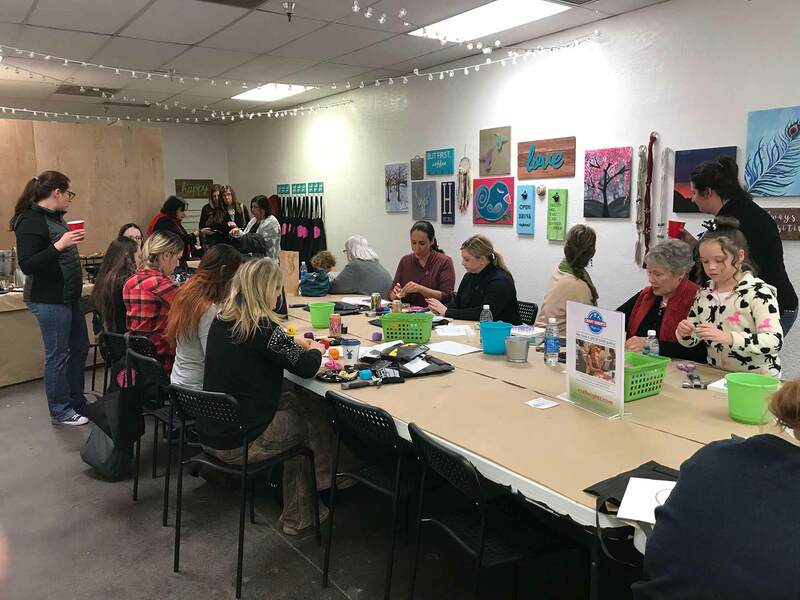 Meet new people and explore your creative side through string art, canvas painting, wood sign making, macramé and more. 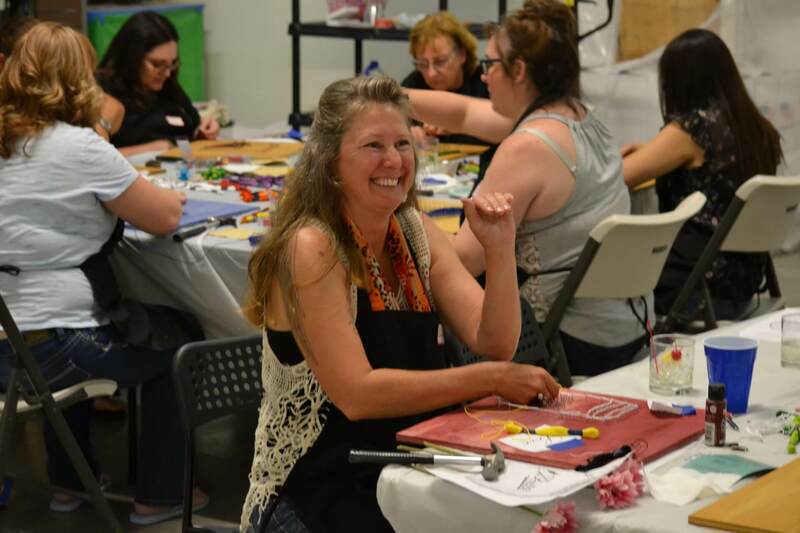 If you are looking for something different to do, come craft with us…after all “Craft Happens” at Craft Nights!